Posted by Andrea H at 10:00 am, November 14th, 2013 under Chinatown, City Hall, Japanese, Jury Duty Lunch, Maid Cafe NY. There are many delis and other eateries that I’ve walked by many times but never bothered to step inside. That’s usually OK, but sometimes you find a gem that you would never tell existed from the outside. 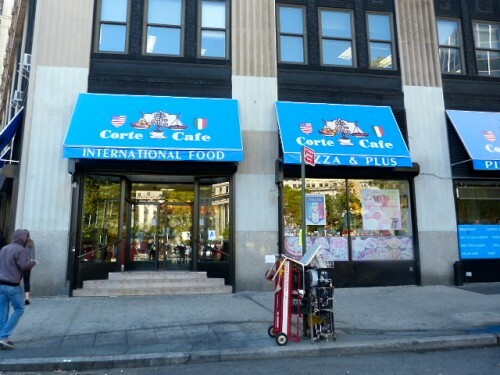 Corte Cafe at the corner of Lafayette and Duane streets is such a place, advertising only “international foods” on its awning. A step inside shows the usual salads and sandwiches, but you can also get fried chicken, a torta or a variety of Caribbean food. It was the latter that piqued my interest since the area around City Hall is lacking in the food of the islands. Posted by Andrea H at 10:00 am, September 25th, 2013 under Caribbean, City Hall, Corte Cafe, Jamaican, Jury Duty Lunch. 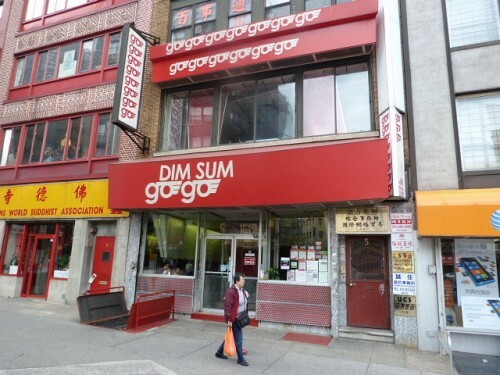 A while ago one of my friends persuaded me to eat at Dim Sum Go Go on E. Broadway (at Chatham Sq. ), and it wasn’t bad. No, you don’t get the charm of the carts going by, but if you’re looking for a somewhat quick dim sum lunch near City Hall and the government buildings and courthouses it’s a good option. While there I noticed they had a 10-piece dim sum platter on the lunch menu for precisely $10 and decided to go back and see if it was worth bypassing the cheaper options in Chinatown. Posted by Andrea H at 10:00 am, April 16th, 2012 under Chinatown, Chinese, Dim Sum Go Go, Jury Duty Lunch. This winter hasn’t really been a nasty one, and so it is that at the beginning of March when it’s 60 degrees out, I think nothing of heading to an outdoor kiosk for lunch. 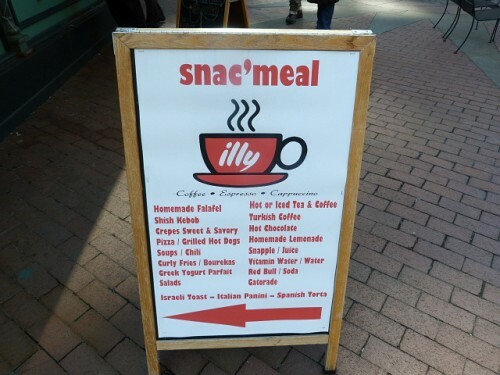 Snac’Meal is next to Centre Melts on the northeast side of the 1 Centre St. building and has a hodgepodge of a menu for both breakfast and lunch that includes sandwiches, soup, falafel, shish kebab, pita pizza and curly fries. It was the “Spanish torta” sandwich that caught my attention, partly for the lunchtime price of $3.95 ($3.50 before 11 a.m.) and the fact that you could pair it with curly fries for an extra $1.50. Posted by Andrea H at 9:30 am, March 8th, 2012 under American, City Hall, Jury Duty Lunch, Sandwiches, Snac'Meal Kiosk. 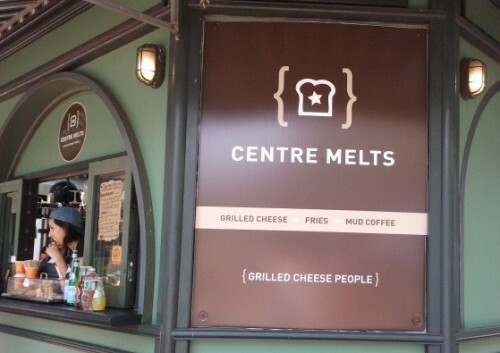 Did Centre Melts Make Me A Grilled Cheese Convert? 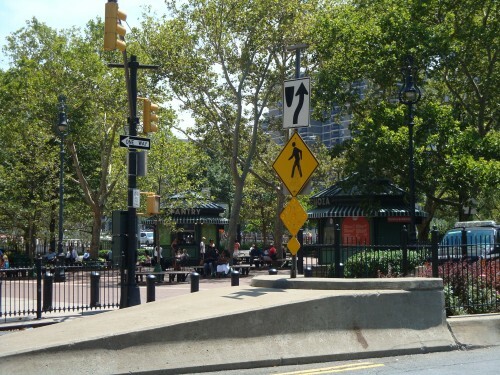 Posted by Andrea H at 12:00 pm, August 3rd, 2011 under American, Centre Melts, City Hall, Jury Duty Lunch, Sandwiches. 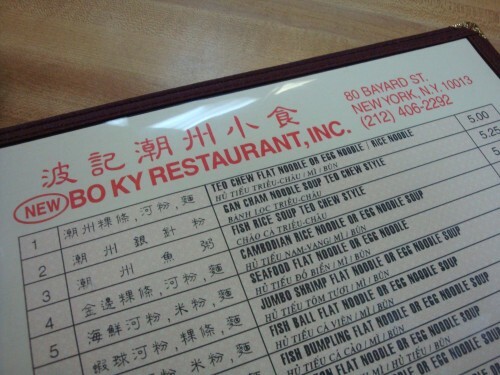 Posted by Andrea H at 9:45 am, January 27th, 2011 under Bo Ky, Chinatown, Chinese, Jury Duty Lunch, Soups, Vietnamese. If you’re like me, you don’t really go to the area of Centre St. near City Hall unless you’re on jury duty, get arrested (I would imagine) or you work there and/or are defending someone in a court of law. The other option is that you are a tourist or just really like walking across the Brooklyn Bridge. One day after getting off the subway at the City Hall station, I noticed a couple of food kiosks had popped up in a weird triangular area at the base of the bridge. They were Choza Taqueria and The Pantry, and they make up half of the Open Air Cafe. Two other kiosks for Lucky Buns (not this kind, sadly, but burgers) and an Italian pizza and pasta kiosk called Sauced are on the opposite side of the massive 1 Centre St. building. I had originally ventured over to check out Choza’s tacos only to find the place closed. So I walked over to the neighboring Pantry to see what they had on offer. Posted by Andrea H at 11:00 am, July 14th, 2010 under City Hall, Jury Duty Lunch, Open Air Cafe, Salads, Sandwiches, The Pantry.